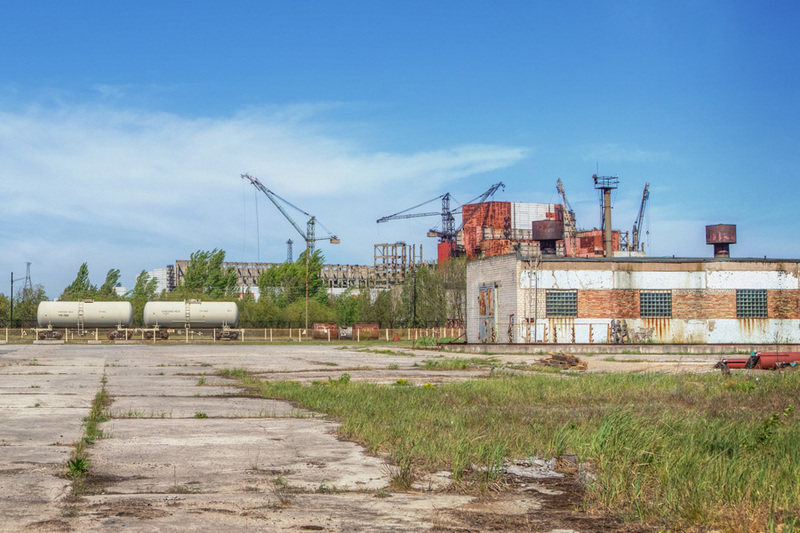 The last reactor at the Chornobyl plant was decommissioned in 2000, and with it, many from Slavutych were out of jobs. 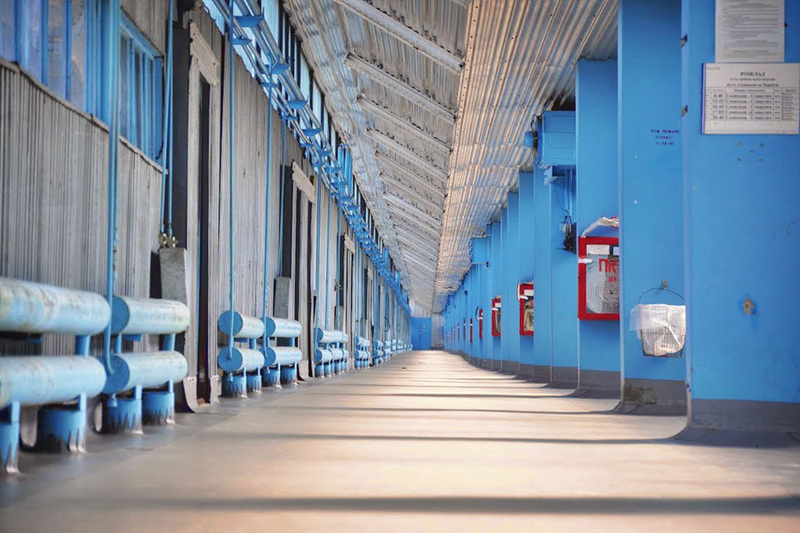 Although the workforce was more than halved, the decommissioned plant still needs workers to care for the spent nuclear fuel on site. The cooling pond presents its own issues - although no longer needed, the water level must be maintained due to the fact that there is radioactively contaminated sediment at the bottom. In addition, a workforce is needed to build the New Safe Confinement arch that will eventually cover the aging sarcophagus over the destroyed fourth reactor. 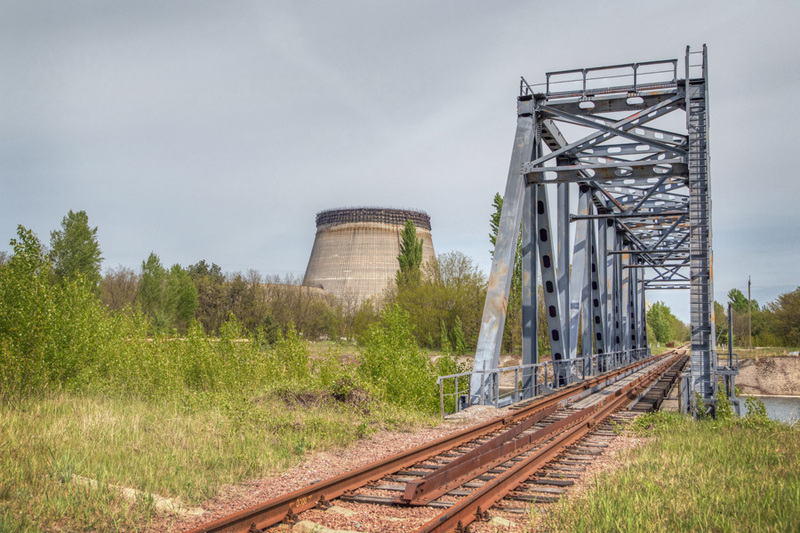 This arch, installed on tracks, will be completed alongside the reactor where contamination levels are lower, and once finished will roll into place on these tracks over the reactor. 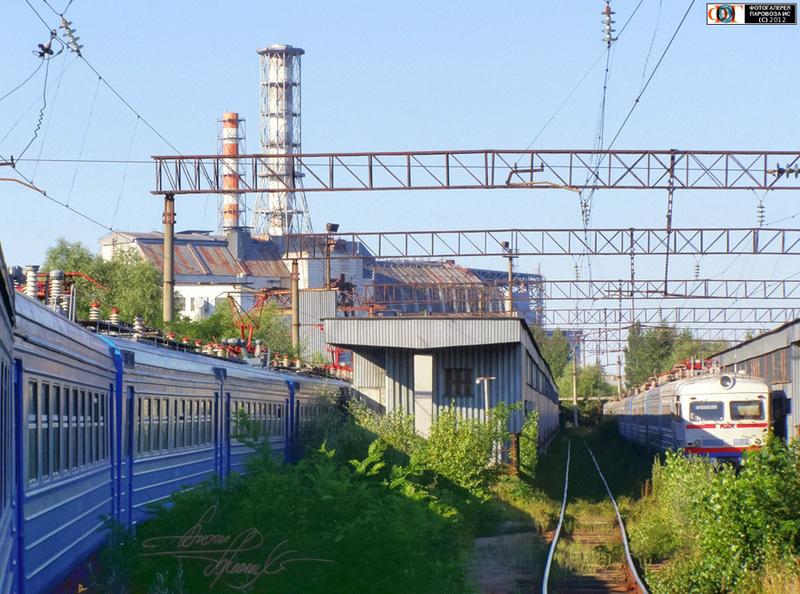 Many plant employees still live in Slavutych, where they commute by train into the Exclusion Zone for work. 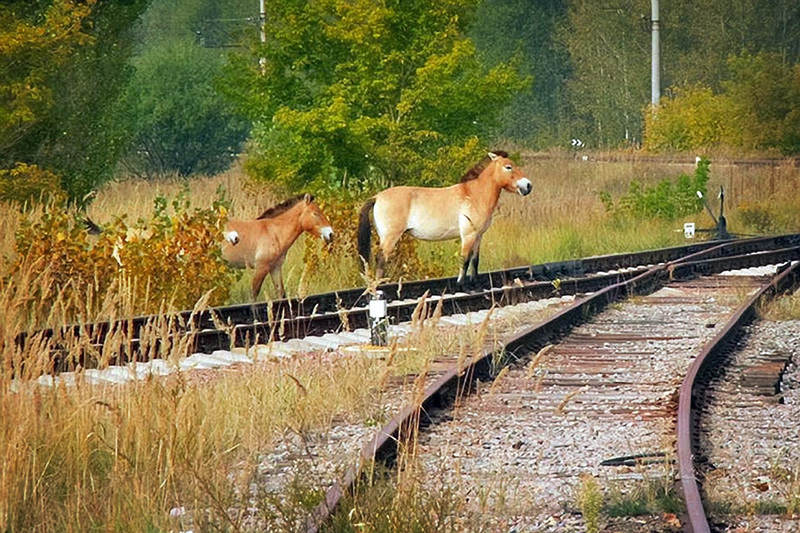 Semikhody staton, located the closest to the plant, is made up of four tracks just off the main line. 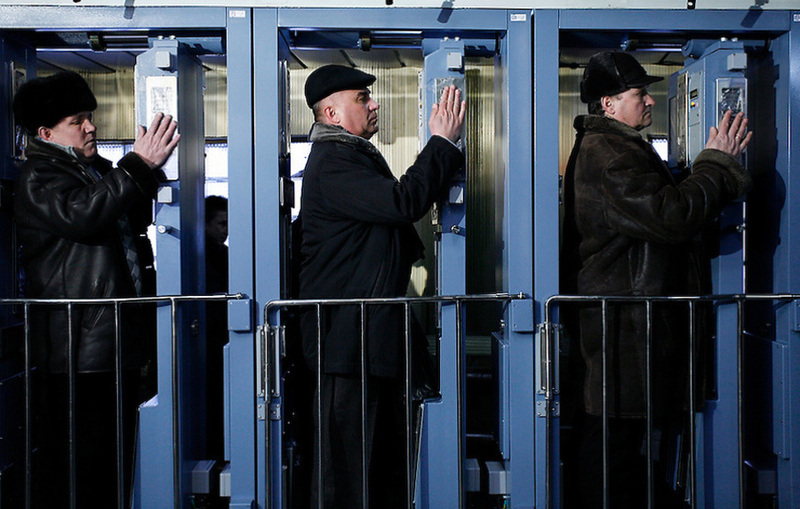 The station is well secured, not only because everyone is required to go through sanitary inspection before boarding the train, but because the journey cuts through a small swath of Belarus. The train, however, makes no stops in Belarus, and by arrangement there is no control points at the border. Those looking to ride the train are expected to be carrying their employee ID and passport. Although far less frequent, diesel locomotives are stationed in the zone for any movements that are required for the plant. Just east of Yaniv, and before the "Bridge of Death," a branch off of the main line cuts south and extends over to the Chornobyl plant. The plant itself is crisscrossed by railroad tracks, and several bridges carry the tracks over the cooling pond. 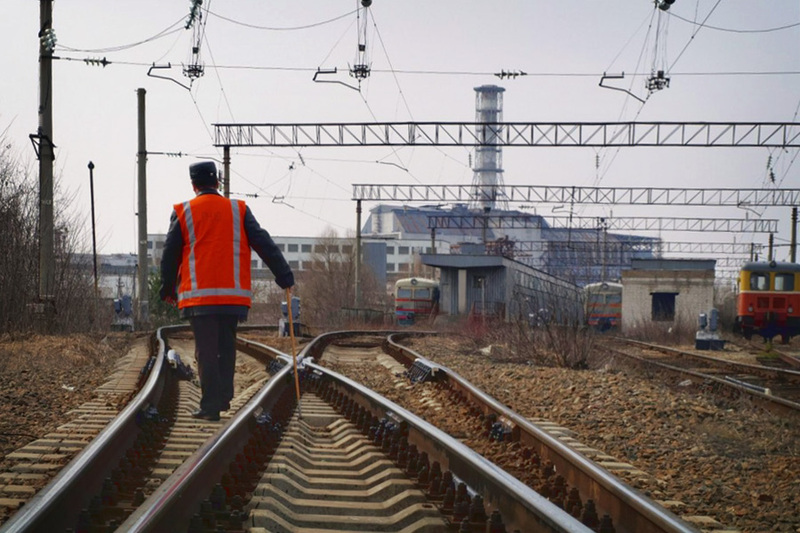 This additional network of tracks allows materials to be moved with ease around the plant, whenever required. 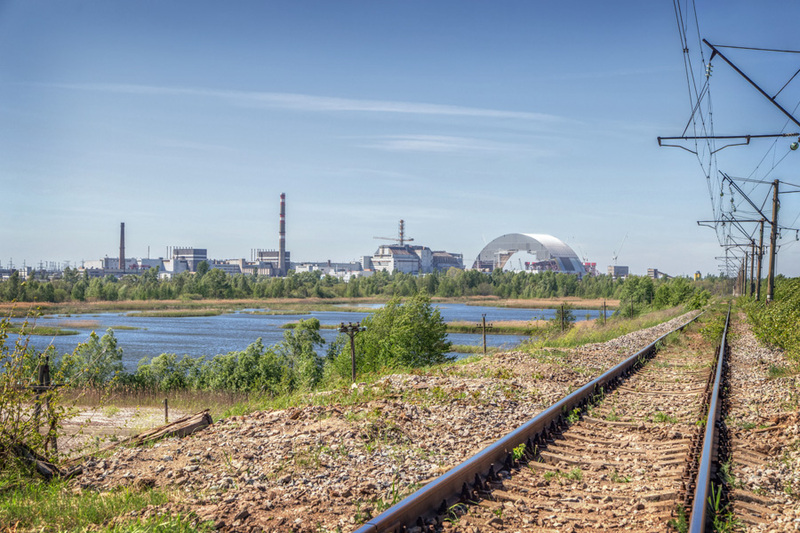 The entire Chornobyl complex is visible to all arriving by railroad. 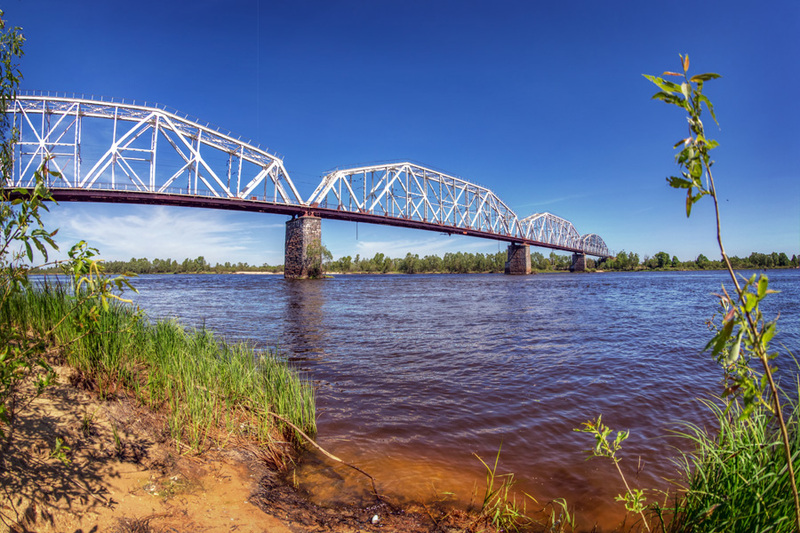 Panoramic view of the Pripyat River Bridge. 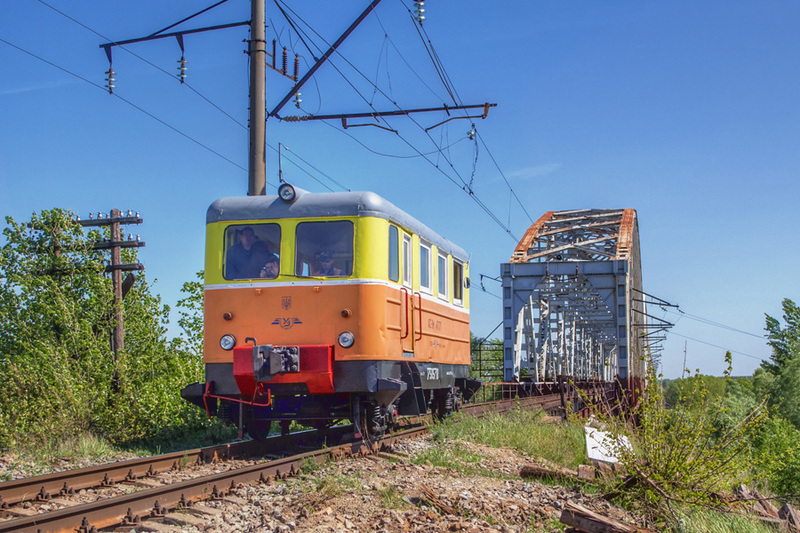 A "Motrisa AS1M" work railcar crosses over the Pripyat River Bridge toward the Chornobyl plant. 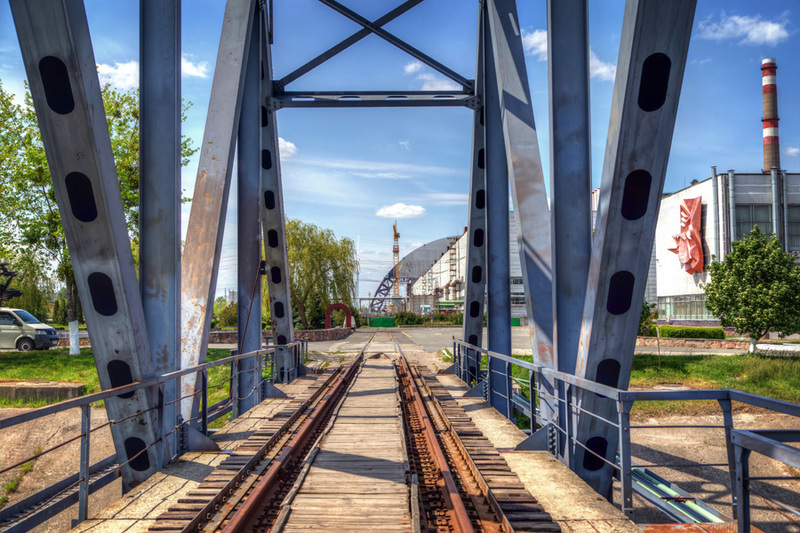 The Pripyat River Bridge as seen from the banks of the river. 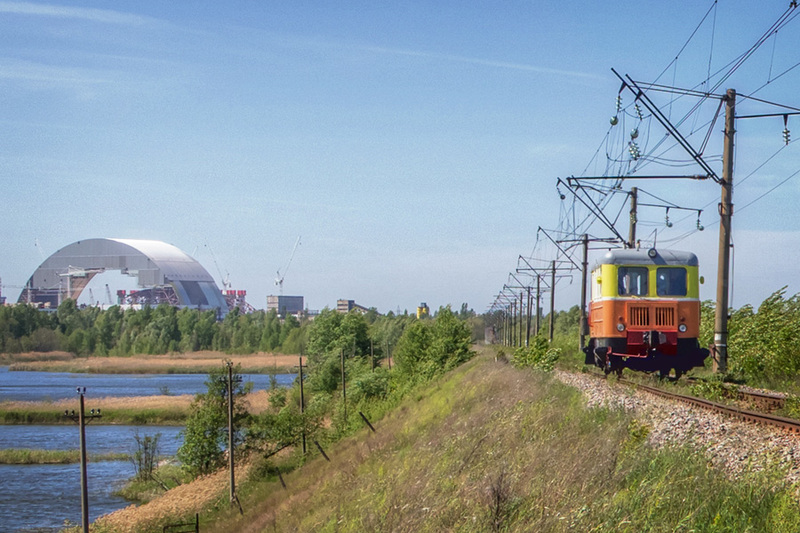 Heading toward Semikhody station, the railcar is visible alongside the "New Safe Confinement" arch. 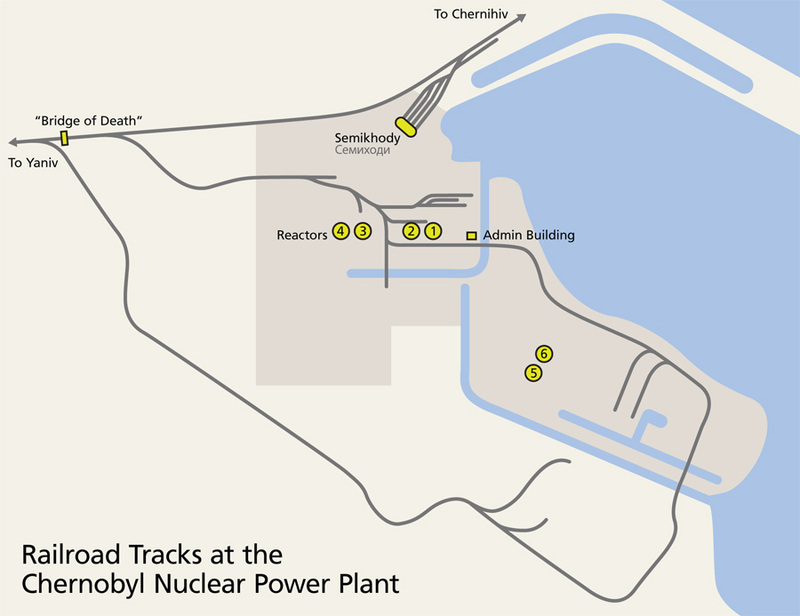 A rough diagram showing the train tracks that service the Chornobyl plant, and Semikhody station. 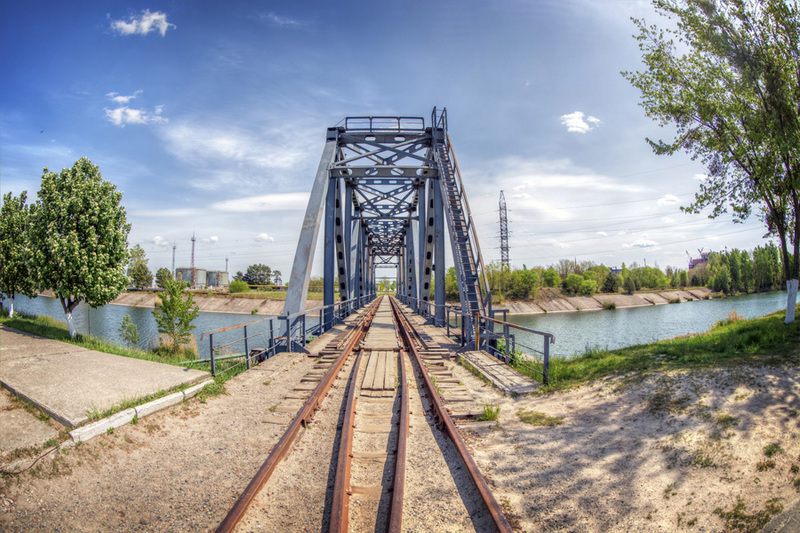 A railroad bridge over the cooling pond near the Chornobyl plant. The structure visible to the left is the cooling tower for the 5th reactor, which was under construction in 1986 and never completed. View from the railroad bridge, looking toward the Chornobyl plant. The "New Safe Confinement" arch is visible dead ahead. Another one of several railroad bridges over the cooling pond. Large catfish live in the cooling pond, and people frequently feed them bread from the dining hall for amuseument from this bridge. Two tank cars sit in front of the construction site for the fifth and sixth Chornobyl reactors. The two reactors were never completed. 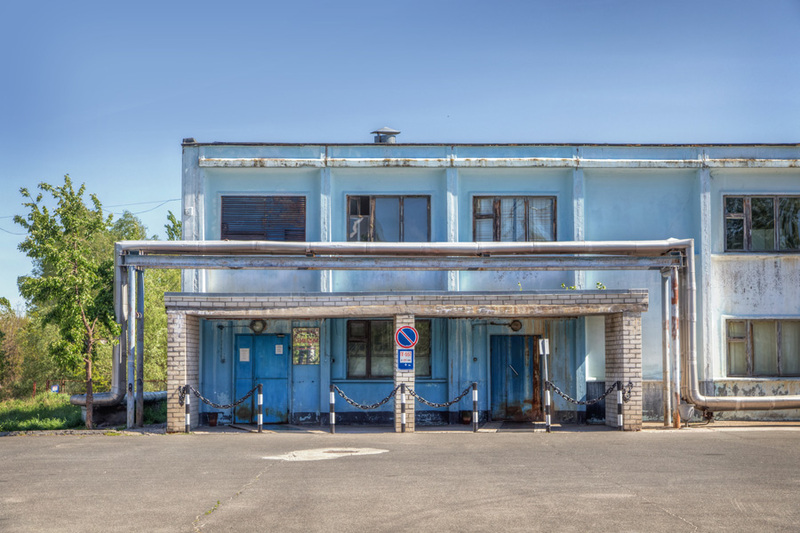 The outside of Semikhody station, facing toward the Chornobyl plant. 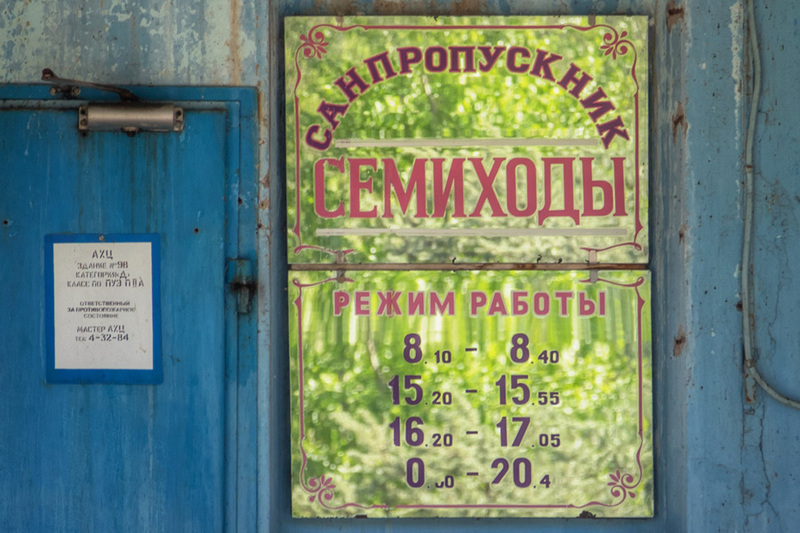 The sign lists the hours of the "sanpropusknik" - Sanitary Inspection - at Semikhody. All plant workers must be checked for radiation levels before leaving the zone.